Frowning, contraction of the brows, pulling down the corners of the mouth and squinting of the eyes leave traces and strongly influences the appearance of a person. The elimination of wrinkles in the face with Botox is due to the immobilization of the muscles, resulting in that the overlying skin cannot wrinkle. Botox is not a filler, so no wrinkles will be injected with Botox. Distinct facial wrinkles are caused by repetitive and long-term use of the facial muscles. Such use causes stress on the overlying skin, especially in the adjacent connective tissue of the muscles. The skin ageing process is enhanced either by substantial muscle activity, i.e. ‘wear and tear’ caused by endogenous (biologically programmed) and exogenous (UV light and environmental conditions). Frowning, contraction of the brows, pulling down the corners of his mouth and squinting of the eyes leave traces and strongly influences the appearance of a person. Another cause of wrinkles is the age-related loss of elasticity of the skin and subcutaneous fat. Botulinum toxin – BTX is a bacterial toxin which blocks the neurotransmitter acetylcholine (ACh). Hereby, the transmission of the nerve to the muscle is impeded and can no longer contract. The elimination of wrinkles in the face with Botox is due to the immobilization of the muscles, resulting in that the overlying skin cannot wrinkle. Botox is not a filler, so no wrinkles will be injected with Botox. Wrinkles are injected either with the patient’s own fat or synthetic fillers (“filler”). Where wrinkles are caused solely by the contraction of the muscles (crows feet, worry lines, etc. ), Botox is the drug of choice, while fillers are used where the primary loss of subcutaneous fat is the cause of the wrinkles (nasolabial folds, eye rings, etc.). Depending on the region, between three and ten injection points are set to correct the wrinkles. 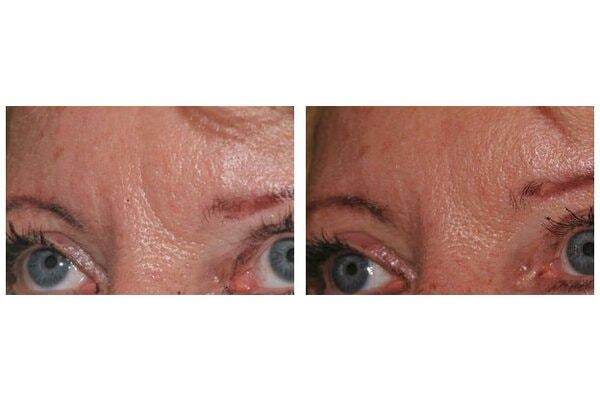 BTX is particularly suitable for the treatment of the so-called Glabella region (“frown lines”), for the forehead (“worry lines”) and “crow’s feet” (smile lines at the sides of the eyes, known as the “periorbital region”). 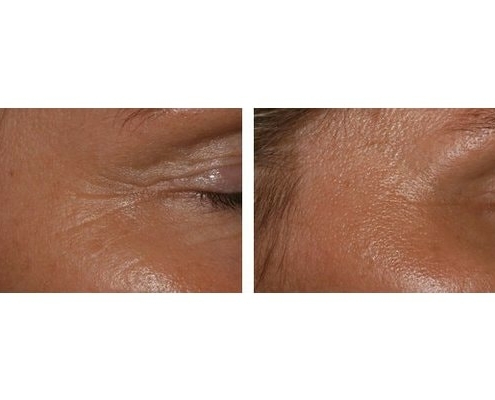 Experienced doctors, using minute amounts of BTX can also raise the lateral eyebrows (“chemical brow-lift”), can produce a broadening and rounding effect of the eye, weaken radial lines on the upper lip and lift a drooping mouth. Botox can also be used for excessive sweating in the underarm, hand or foot; medically this phenomenon is called “hyperhidrosis”. There is no limit as to whether there is excessive or morbid sweating, but when a person feels compromised by the sweat in their life, there is need for action. Sweat is produced by sweat glands, which lie just under the skin. Sweat glands are supplied by the so-called “sympathetic” nerve fibers that control their activity. 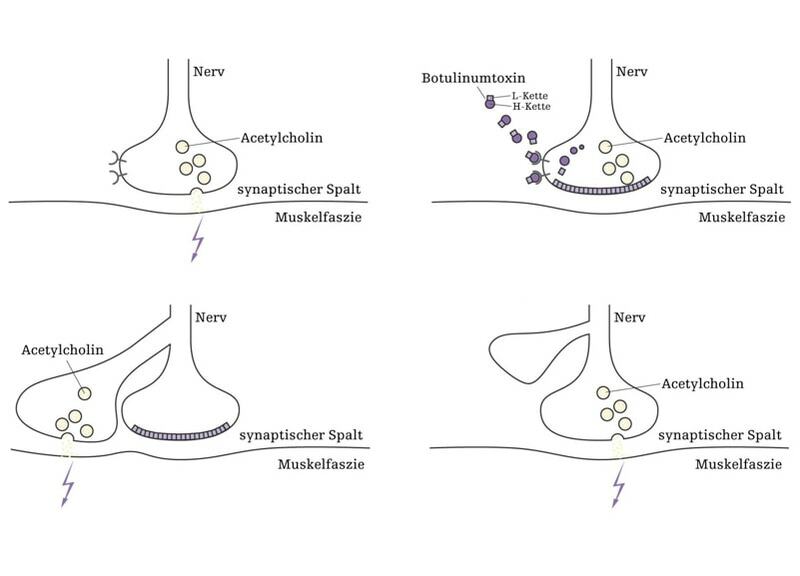 The sympathetic nervous system is not subject to the will and is therefore not taxable (autonomic nervous system – heart rate, flushing, intestinal motor controls, etc.). The amount of sweat will therefore depend on the number of nerve impulses that reach the sweat glands. The most common form of hyperhidrosis is that at which the pulse rate of the relevant nerve cells, especially under emotional tension, is increased measurably. That is why this form of hyperhidrosis is called “emotional sweating”. With proper application of BTX, it is a safe and low side effects procedure, which neither causes pain nor down time. In addition, the therapy leads to significant visible improvements with minimum of time and a manageable financial burden. BTX is degraded within 3-6 months from the body, undesired effects (overcorrection etc.) can therefore never be permanent. Here you can see some examples of Botox treatments. Botox is a bacterial toxin that paralyzes the muscles for 4-6 months. With Botox nothing is subcutaneously injected, so it is not a filler (filling substance). 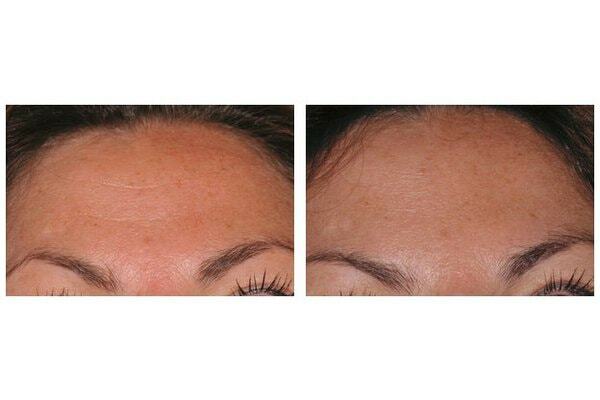 With Botox frown lines , forehead wrinkles and crow’s feet can be successfully corrected, also the lateral eyebrows and the corners of the mouth can be lifted. Botox is well tolerated , there are no allergies or side effects. Botulinum toxin – BTX is a naturally occurring protein that is used by different strains of the bacterium Clostridium botulinum produced and released in absence of air. It was first described in 1817 and was most often found in sausages and canned meat. 2. How does Botox work? BTX blocks the neurotransmitter acetylcholine (Ach), temporarily paralyzing the muscles that cause wrinkles while giving the skin a smoother, and more refreshed appearance. The elimination of wrinkles in the face with Botox is therefore the immobilization of the muscles, resulting in that overlying skin can not wrinkle. Botox is not a filler, so no wrinkles with be injected with Botox. 3. How long do the effects of Botox last? Botox works within 24 hours and is metabolized by the body within 3-6 months when it will lose its effect. Botox must therefore be injected at regular intervals for permanent results. 4. Does Botox work every time? No, 3-7% of people are immune to Botox or show only a slight reaction. 5. Where can Botox be used? 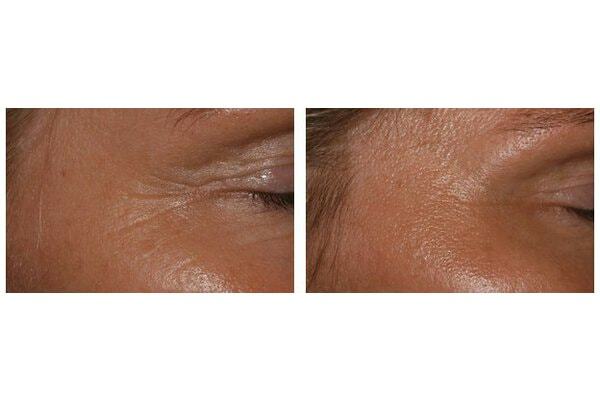 BTX is particularly suitable for the treatment of so-called Glabella region (“frown lines”), for the forehead (“worry lines”) and “crow’s feet” (smile lines at the sides of the eyes, known as the “periorbital region”). 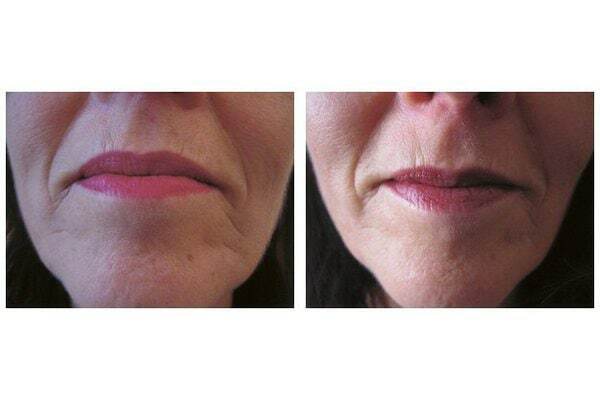 Experienced doctors, using minute amounts of BTX can also raise the lateral eyebrows (“chemical brow-lift”), can produce a broadening and rounding effect of the eye, weaken radial lines on the upper lip and lift a drooping mouth. 6. Can Botox be used to treat excessive sweating (hyperhidrosis)? Yes, Botox is used for hyperhidrosis in the armpits, hands and feet. 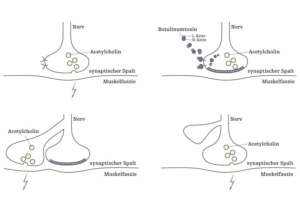 This is possible because the activity of sweat glands is controlled by nerve impulses and Botox may reduce the pulse rate by blocking the neurotransmitter ACh. This results in a significant improvement in the quality of life of patients. In contrast to other (surgical) procedures to suppress the production of sweat, there is no treatment for the BTX-compensatory sweating in other parts of the body. 7. Does a Botox treatment hurt? The needle is very thin and the procedure is relatively painless. If used properly by an experienced practitioner, the use of BTX is a safe and low side effects procedure. Nevertheless, as in any medical treatment, side effects and complications can occur. Some side effects include swelling and bruising and tiny little scabs at injection points. Sometimes it can also lead to paralysis of the adjacent muscles, which is always temporary. 9. Can a Botox treatment be performed during the lunch break? Yes, absolutely. 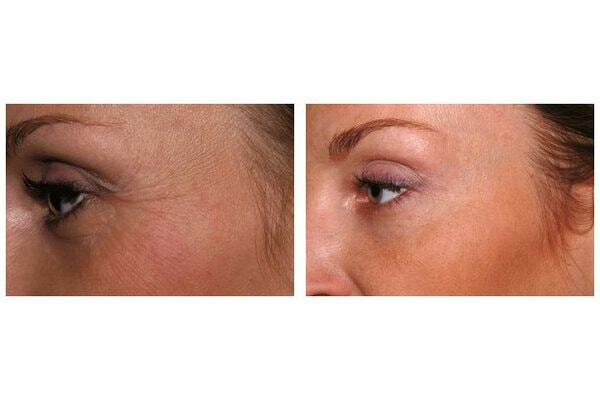 A Botox treatment lasts on average 5-10 minutes. The injection sites can be covered up with make-up. 10. What medications that contain botulinum toxin are allowed on the market? Botulinum toxin type A is offered in Austria as a drug by four different companies: “Botox” and “Vistabel” by Allergan, “Dysport” by Ipsen, “Xeomin” by Merz and Neurobloc “by Elan Pharma. All of these products contain botulinum toxin type A, but differ in their preparation and concentration. Similar to “Asprin”, whose brand name is mentioned on behalf of medications containing the active ingredient acetylsalicylic acid, “Botox” is the brand name for a number of medicinal products, which contain botulinum toxin. If only a Botox treatment is requested the initial consultation is free of charge. A Botox treatment in my surgery, depending on the number of treated areas, lasts between 5-10min and costs only the surgical fee. Depending on how many areas are treated, the surgical fee is EUR 280 – 350 per region.